Bathing with your pet: Acceptable or absurd? 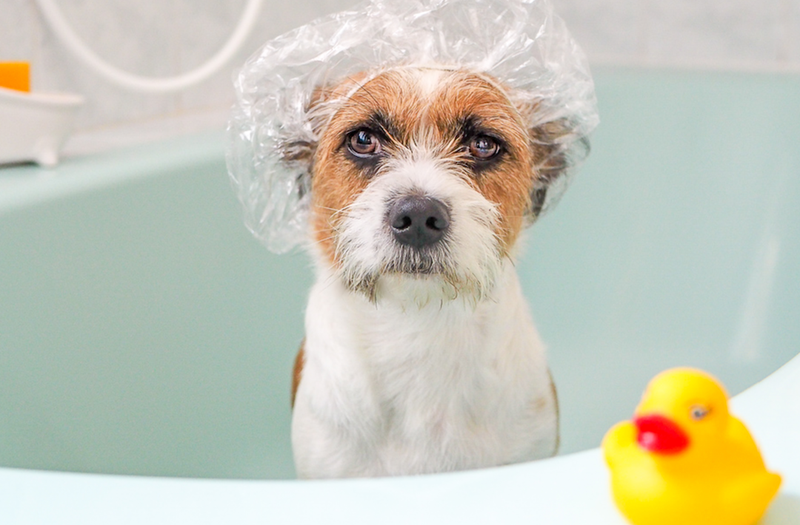 A KZN woman has sent us a voice note telling Damon of the shock and horror she felt after discovering her boyfriend's dog having a bath with him. Listen as KZN shares their views on the topic, or read the details under the podcast. For most of us, taking a shower or bath is more often than not a pretty calming experience. For our pets, however, bathing may be anything but relaxing. Between the water, the noise, the confinement, the scrubbing, and the shampoo, it's no wonder your cat or dog may sprint in the other direction. For some, I know it kinda makes sense to wash your dog at the same time you're taking a shower or a bath - two birds, one stone, and all that, but it’s a big "no no" for me. A KZN woman took to our WhatsApp line to share the horror she experienced when she discovered that her boyfriend was giving his dog a bath in the tub with him inside as well. Eek! Hi Damon. I've been dating the most amazing man for the last 6 months. I'm a very traditional girl and this past weekend, I spent my first night at his apartment - not by choice, but because of the bad weather. He cooked me dinner and we had some wine - it was the perfect evening. But, things went left very quickly when he disappeared to give his cute little Jack Russell a bath. 20 minutes into the bath, I heard tons of laughs and splashing about. When I peeped into the bathroom, to my shock and horror I found my man in the bathtub with the dog - bubbles and all between his legs. I freaked out because I was planning on taking a bubble bath in the very same tub - definitely not gonna happen anytime soon. A dog in a bathtub? Hell no! Don’t get me wrong, I love my pooches, but there’s no way they’re sharing a bath or shower with me. What about their flea and tick medication, and all the dirt from half my garden that my dog has dug up? Not going to fly with me. For my little ones, I usually take them outside, and we make a day of it. With a bucket and a hosepipe in hand, I spray them down and create loads of foam bubbles, and they simply love it! Maybe it's just me, but I say "nay" to having a bath with your pet. How about you? Vote in our poll and then share your comments with me below.